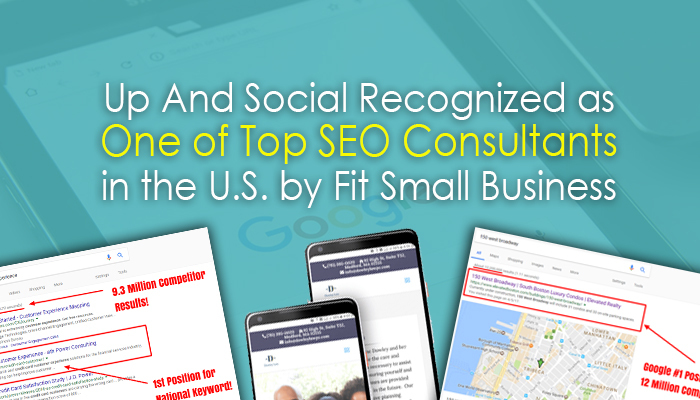 FitSmallBusiness.com has recognized Up And Social consultants as being among the top SEO professionals in the country, as gauged by their expertise, their credentials, and the services they provide to clients. FitSmallBusiness.com was founded in 2011, and has enjoyed an astonishing growth rate of over 1,700% in the past three years, which is one of the primary reasons the firm has been ranked 286th in the Inc. 500 top companies in the U.S. known largely for publishing online how-to guides on such topics as marketing, e-commerce, website building, financing, I.T. and H.R., the company has quickly become an authority in the online world of business, and has gathered a huge following in a very short period of time. 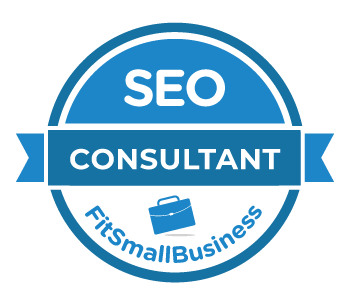 In the article listing the Top SEO consultants for 2019, FitSmallBusiness.com identified Up And Social’s owner, Scott Bishop, as one of the most influential and knowledgeable SEO professionals. One of the most compelling reasons that Scott Bishop was included on this list is the consistent testimony of clients, who have confirmed that working with Scott and the Up And Social team has delivered results, even after other professional consultants have failed. Under Scott’s guidance, the Up And Social team provides clients with more than high rankings with the search engines, offering tools which can also convert more leads into sales after visiting their websites. Driving traffic to a client’s website is not considered to be the ultimate goal at Up And Social, but converting those consumers into loyal customers is thought to be much more beneficial to clients. The fact that a full range of services can be provided to clients, from search engine optimization right through to lead conversions, is something that makes Up And Social rather unique. The background of Scott Bishop was another factor in his being selected as a Top SEO Consultant for 2019, since he has already had tremendous exposure to digital marketing work of all kinds. Beginning with his degree in web management and Internet commerce from Johnson & Wales University, he has had many opportunities to assist clients with their digital marketing efforts. Having worked with all types of different companies, from startups to well-established companies, Scott has an understanding of what needs to be done in many different phases of business life, and what it takes to grow a business. The team of professionals guided by Scott Bishop at Up And Social are all masters of inbound marketing techniques, which makes use of a number of different strategies to funnel customers inward. A great many small to medium-sized companies in the Boston area have benefited by working with Scott Bishop and his team, especially those in the fields of health and dental care, construction companies, and real estate firms. What makes the Up And Social approach different from most companies is that Scott and his team recognize that small companies have tight budgets, so they try hard to make Up And Social an extension of their clients’ resources, using affordable but effective strategies.